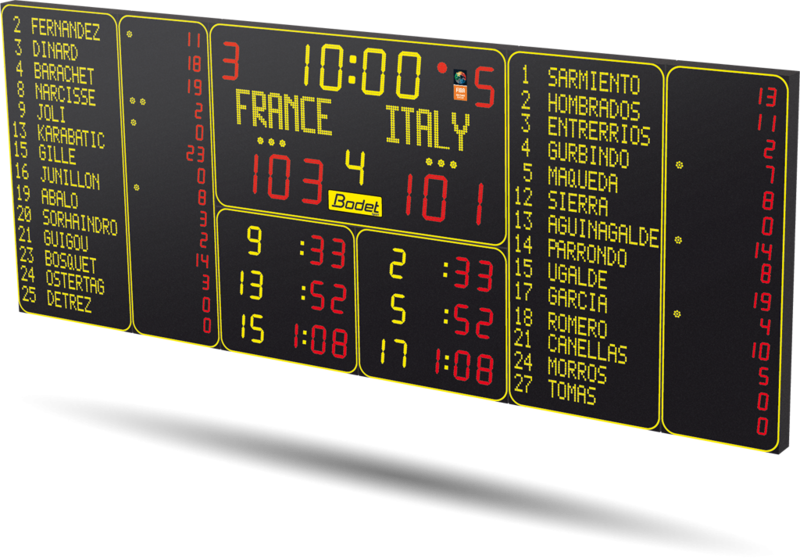 The large BT6730 Alpha 14P H10 handball scoreboard is designed for professional handball games on account of its management of the numbers, names and scores of the 14 players. 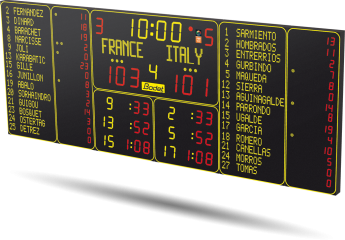 This handball scoreboard is ideal for large halls due to its high-brightness LEDs. 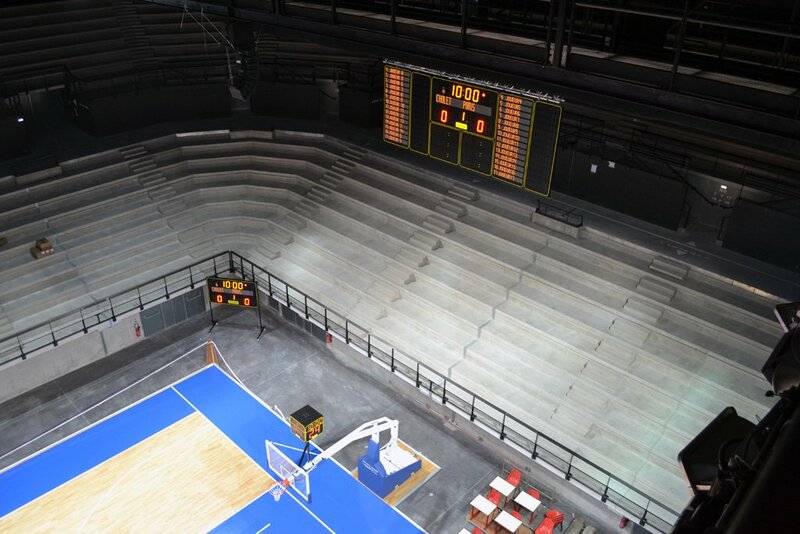 The scoreboard is designed for sports halls hosting national and international competitions.